Build fascinating spatial structures using unique flexible, foldable and smoothly interlocking puzzle pieces. The accuracy of each plastic partition ensures excellent stability without using any adhesives. 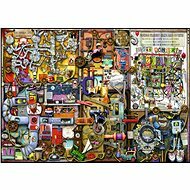 The manufacturer of these spatial puzzles is the renowned German company Ravensburger. 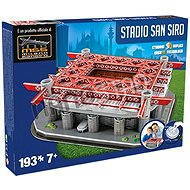 Create your own replica of a medieval house that includes 216 pieces and will surely entertain you, as well as your kids. The straightforward numbering of individual pieces and illustrated instructions will help you build your toy tower. Toy meets the European Parliament and Council Directive 2009/48/EC of 18 June 2009 on the safety of toys and all legal standards in accordance with Czech legislation. Of course, there is a declaration of conformity. For shipping to other EU countries visit this page Ravensburger 3D Medieval House. Für Versand nach Deutschland, besuchen Sie bitte Ravensburger 3D Mittelalterliches Haus. Chcete doručit zboží do Česka? Prohlédněte si Ravensburger 3D Středověký dům. Chcete doručiť tovar na Slovensko? 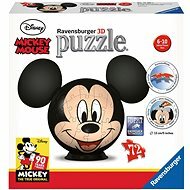 Prezrite si Ravensburger 3D Stredoveký dom. Für Versand nach Österreich, besuchen Sie bitte Ravensburger 3D Mittelalterliches Haus. Magyarországra történő kiszállításért tekintse meg ezt a termékoldalt: Ravensburger 3D Középkori ház.